ProGlass™ One chemically bonds to tooth structure & metal providing excellent strength and marginal integrity for long term restorations. 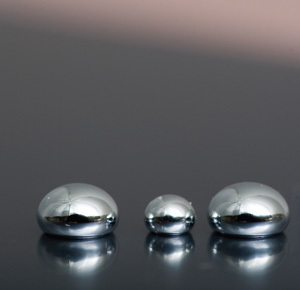 ProGlass™ Silver is a mercury free fluoride releasing silver restorative.Designed to offer strong abrasion resistance, ProGlass™ Silver offers a unique blend of spherical silver-tin alloy with glass ionomer, providing an ultimate balance between working and setting time. 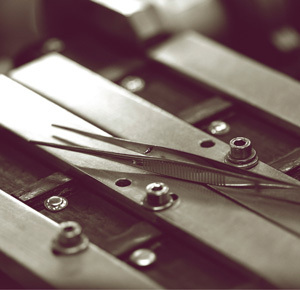 ProGlass™ Silver is ideal for lasting core build-ups, block-outs and repair and can also be used in cases where radiopacity is required. 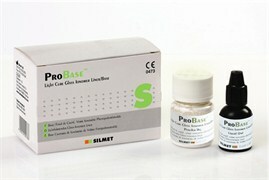 ProBase™ is a reinforced glass-ionomer cement that is designed for use as a luting/lining cement. ProBase™ is the perfect liner/base solution to help protect dentin. 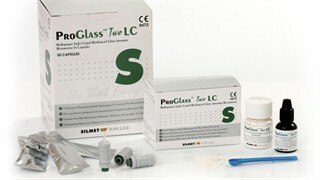 ProGlass Two™ is light cured reinforced glass-ionomer cements designed for the adhesive restoration of teeth. 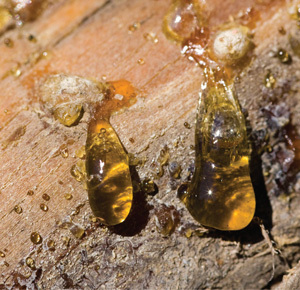 It features visible light curing for ease of operation. 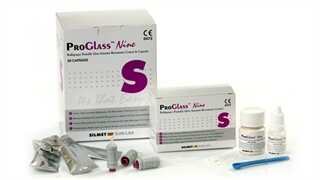 ProGlass™ Nine is an esthetic, condensable classical glass-ionomer restorative cement. 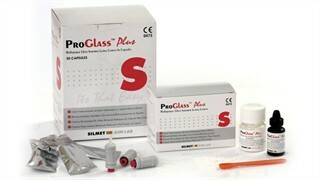 ProGlass™ Nine has high fluoride release which minimizes the need for undercuts. 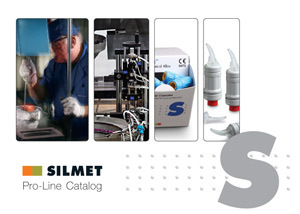 The high translucency of ProGlass™ Nine ensures use in anterior restorations without compromising aesthetics.